What happens when the world's most addictive collectible card game meets the world's least addictive virtual world? Find out tomorrow, when Magic: The Gathering enters PlayStation Home. Wizards of the Coast teams up with Sony to bring the creatures and scenery of Magic: The Gathering to PlayStation Home. 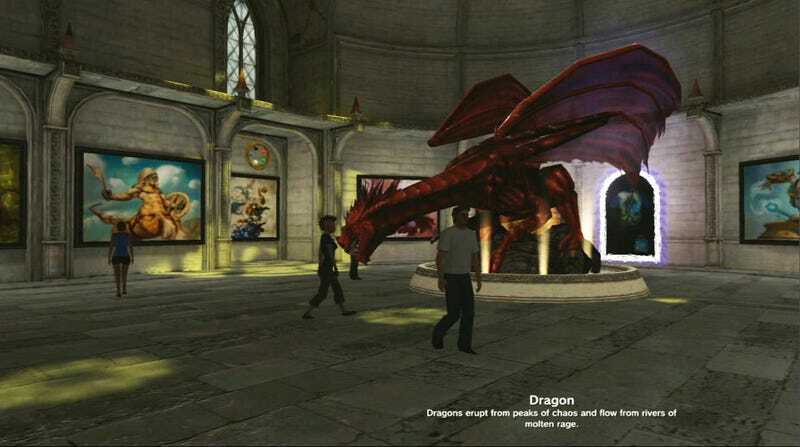 Fans will be able to explore a fantasy castle filled with mystical creatures, wander through an art gallery, and participate in six mini-games that unlock Magic-themed items for your PlayStation Home avatar to wear. Owners of Magic the Gathering: Duels of the Planeswalkers will be able to launch the game from directly within the special space. "We're excited to continue bringing Magic: The Gathering to new audiences across the world," said Worth Wollpert, Director of Magic Digital Games at Wizards of the Coast. "The launch of our Magic-themed PlayStation Home space will allow gamers to interact with our brand like never before." This is certainly a new way to interact with Magic: The Gathering. Will fans look up from the cards long enough to collect Magic-themed avatar items?